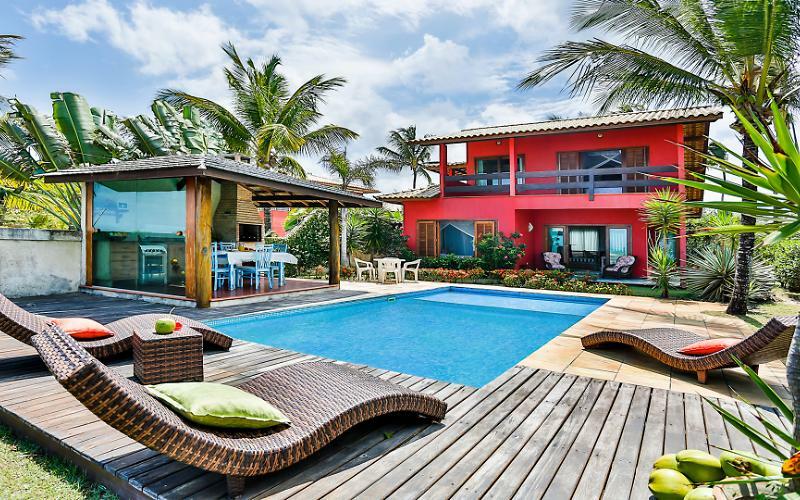 The House is beautiful and facing one of the most beautiful and quiet beaches of Arraial d? Help, the beach of Araçaípe. 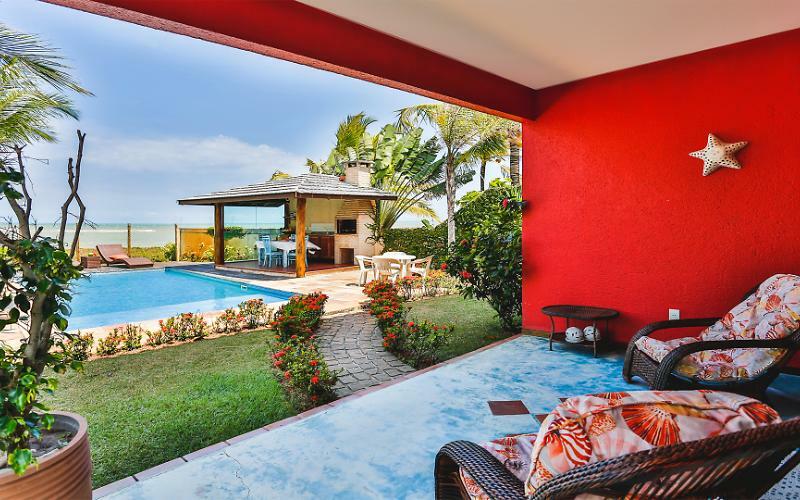 Located in a beautiful gated community with privacy and safety and 800 metres from the historic centre and the region's finest restaurants and easy access to the city centre and Porto Seguro. Are 300 m ² made up of top floor one bedroom with king size bed and air conditioning and a large balcony overlooking the sea. Another room with a double bed, air conditioning and a balcony overlooking the garden. 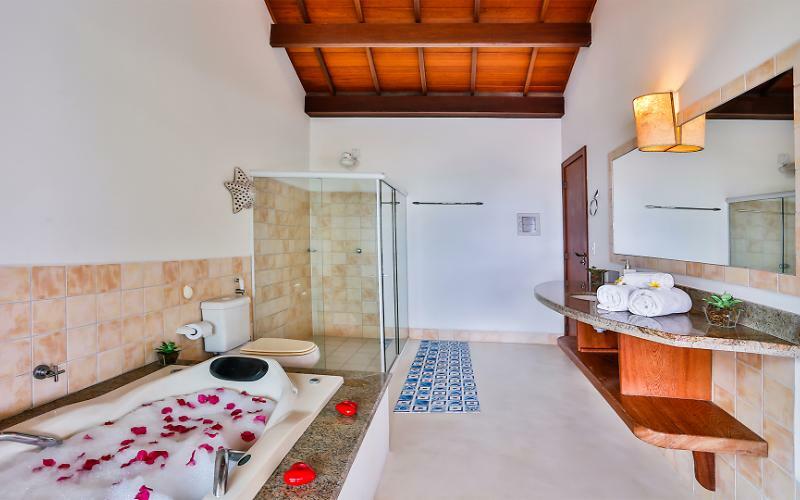 A bathroom with sea view with shower and hydromassage bath. 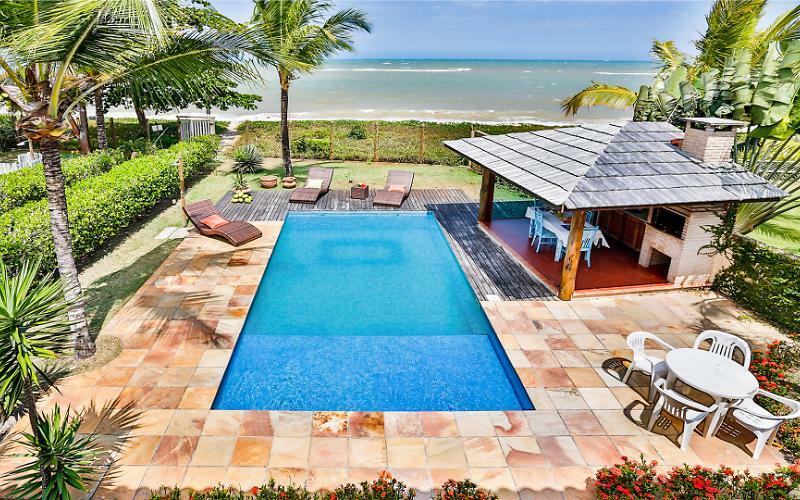 Ground floor with a suite with double bed, air conditioning and a pool view. Social bathroom. Dining room and lounge with Sky TV and a sofa bed, balcony integrated bi. Barbecue and private swimming pool. The beach access is exclusive of the condo!